From the highly acclaimed author of The Book of Summers comes a tale of love, lies and innocence lost For Hadley Dunn, life has been predictable and uneventful. But that is before she spends her second year of college abroad in Lausanne, a glamorous Swiss city on the shores of Lake Geneva. Lausanne is imbued with the boundless sense of freedom Hadley has been seeking, and it is here she meets Kristina, a beautiful but mysterious Danish girl. The two bond quickly, but as the first snows of winter arrive, tragedy strikes. Driven by guilt and haunted by suspicion, Hadley resolves to find the truth about what really happened that night, and so begins a search that will consume her, the city she loves, and the lives of two very different men. 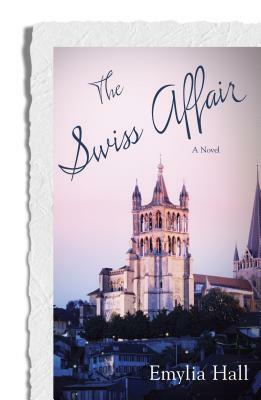 Set against the backdrop of a uniquely captivating city, The Swiss Affair is an evocative portrayal of a journey of discovery and a compelling exploration of how our connections--with people, with places--make us who we are.